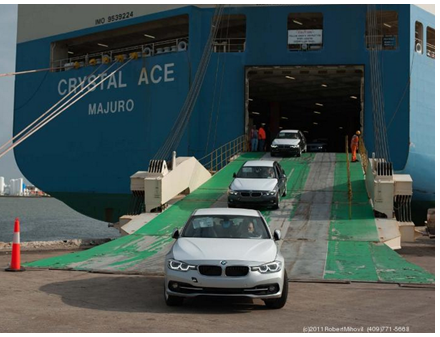 ​​​​​GALVESTON - The BMW Group opened its new vehicle distribution center at the Port of Galveston on April 20, about a year after first breaking ground. The new 44,000-sf facility at 1028 Harborside Dr. was developed to better serve the company's 45 BMW and Mini dealers in Texas, Oklahoma, Louisiana and Arkansas. The company expects to import and process approximately 32,500 vehicles annually at the new facility. The new development sits on approximately 20 acres and spans two buildings where vehicle inspection, accessory installation, vehicle programming, and vehicle maintenance and storage are performed. "Why Galveston? BMW's Southern Region is growing faster than any other region in the U.S.," Stephan Reiff, vice president of aftersales for BMW of North America.